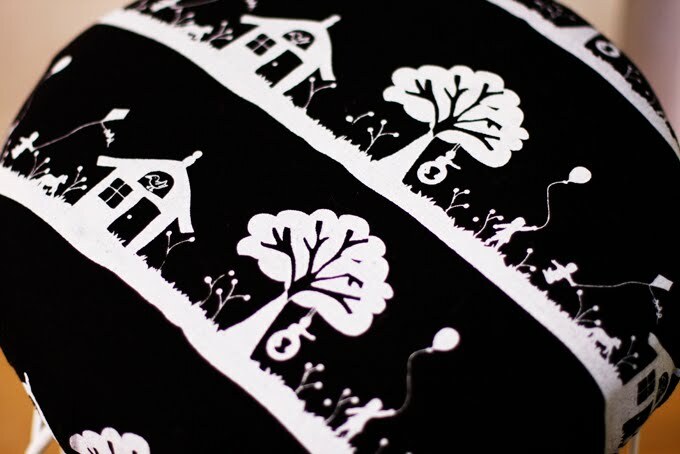 I printed up the 'On the Farm' fabric and am loving it in black and white. 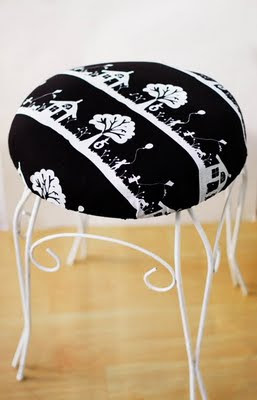 This is my bathroom stool to hold such essentials as magazines and ice-cream if the mood permits. A hot steaming bath and a bowl of vanilla ice-cream is the best, milo on top occasionally gets the look in.